Today I made an awareness card inspired by fellow Crafters to share with you all! 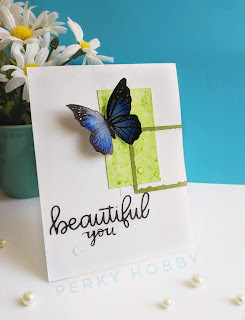 I'm not a part of this blog hop, yet i was inspired by the talented crafters participating in the blog hop , especially by my friend Ishani (who is also a part of the awareness blog hop) to make a card to create awareness. I was really moved by the story of some artists out there who(/whose relatives) are touched by this thyroid problem and how hectic their life would be. I feel really sorry for them and hoping they would do better!! So I kindly request you to visit Milka Gubo's blog to know more about thyroid awareness and hop along as some artists are having giveaways too! Thyroid Gland looks like Butterfly, and blue Paisley ribbon is it's symbol. 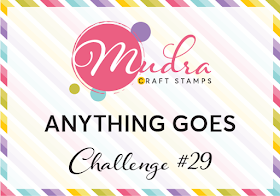 I used mudra butterfly stamp in my card. Just like this butterfly coming out from this frame by fluttering her wings in the air, I wish those who suffer from this problem, enormous strength to fight back. Hope you all liked my card. Wishing you all a healthy life!! Happy Crafting! What a beautiful card with a powerful message !! Loved it! That's a beautiful card Raga. what a beauty and a good message that it is endorsing. Thankyou for coming and spinning the butterfly wheel with me this week. 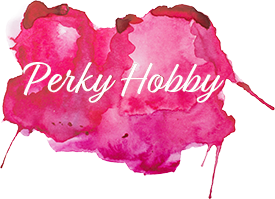 How wonderful you were inspired by the blog hop Milka organized! It was great to get to participate. 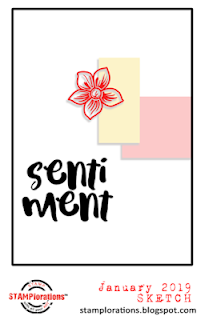 I love the clean look of this card and the way you used the STAMPlorations sketch. Wonderful color combo too. 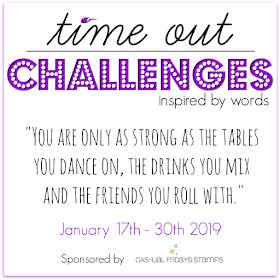 Thanks for joining us at TIME OUT! Wow that butterfly looks incredible and so real, your colouring is spectacular!! And really love that blue against the white and green of the background, especially with the graphic frame images. 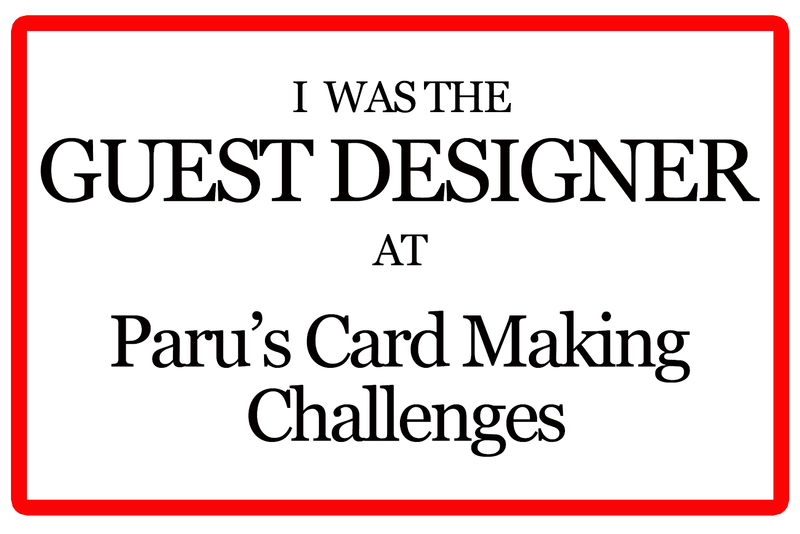 An amazing card, I'm so glad you shared it with us at TIME OUT! Amazing and beautiful card Raga. 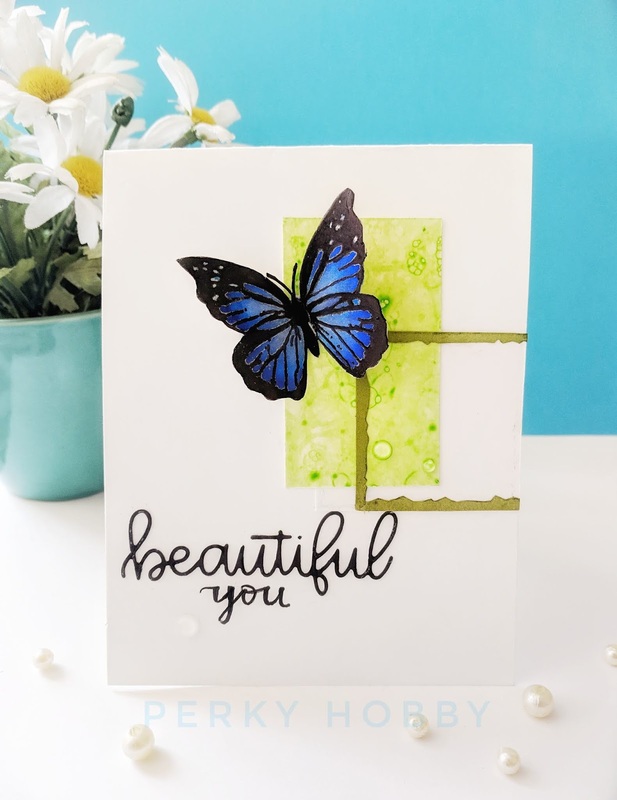 Love your stunning blue butterfly! Great to see it linked up at Uniko. Great take on the sketch and a perfect card for the thyroid hop. How gorgeous, Raga! I love your brilliant color choices and the lovely butterfly! Leaving you with wishes for a wonderful day. Oh waht a beautiful card Raga! I love that butterfly and its just a beautiful layout! Thanks for joining us at Twisted Challenges! Butterflies are always a great choice for a card! 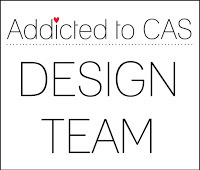 Thanks for sharing your beautiful CAS creation with us in the Uniko Challenge #51 Raga.